Athletes who are adequately recovered from an intense training session are better prepared to excel in the following day's workout. Post workout, muscles are in a state of heightened stress and are working to recover and rebuild the damaged tissue, helping to pave the way for muscle protein synthesis, strength and athletic performance. 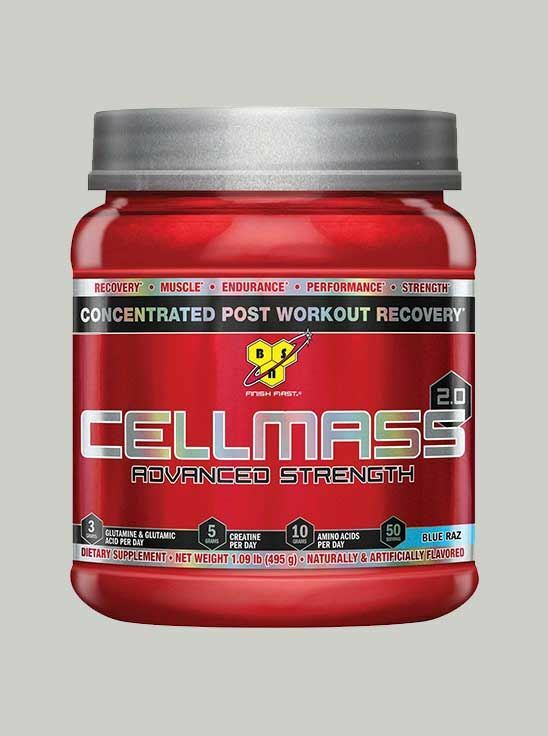 CELLMASS 2.0 is a versatile recovery product that can be stacked with your post-workout protein shakes or mixed directly into cold water. The refreshing fruit flavors are designed to complement BSN chocolate or vanilla protein powders and also taste great as a standalone supplement.